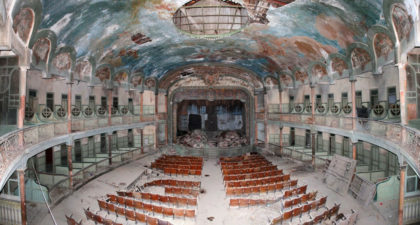 Spain gave ownership of the 106 year-old theatro cervantes to Morocco after a long shutdown in return for its restoration. The theatre will be handed to Morocco following a decision of the Spanish government in return for maintaining the Spanish cultural character of the monument. Another condition includes the creation of a Spanish cultural center in the building. “This is an edifice of great architectural and cultural value whose restoration requires huge investment,” Spanish paper El Pais said. The revamp of the dilapidated building, which has been closed since the 1980s, would require investments worth €5 million.